Next Letter What’s this classroom thing all about? The giving season is upon us and once more an artist has an opportunity to contribute to the community. I like to learn about the charities that approach me, how they are run and whether they’re cost efficient. Some are more appealing than others — local hospitals, children with special needs and high-school bands are hot for me right now. “Lawyer of the Year” has been put in the warming oven. Many charities these days offer a split with the artist — sometimes 50/50, often 60/40 in their favour. Others ask for outright gifts. I determine my gifts based on the needs of the community, not on the financial breakdown, potential publicity or tax benefits. In this country, tax receipts to artists are not worth a hill of partly-chewed jujubes. It’s important to get a little control of the prices of auctioned items. I don’t know about your dealers or potential dealers, but mine don’t want to hear about people buying my fundraiser art for peanuts. A reserve price (below which the work must not sell) is generally set at about 2/3 of the current retail price of the work. In the event that your gift does not reach this, then it needs to be returned. Last year one of mine sold for more than twice its gallery value, mainly because my daughter-in-law, Tamara, who happened to be the MC, mentioned that I was not feeling well. Many time-worn charity art auctions need a shot of vitamins. Fortunately, some charities are coming up with interesting new spins. Masquerades, entertainment, heart-rending testimonials, mystery masterpieces, trips to exotic places, Rottweiler puppies, and surprise raffles keep people from slumping forward in their chairs. I always include one of my books with my gift. It gives people something to read. 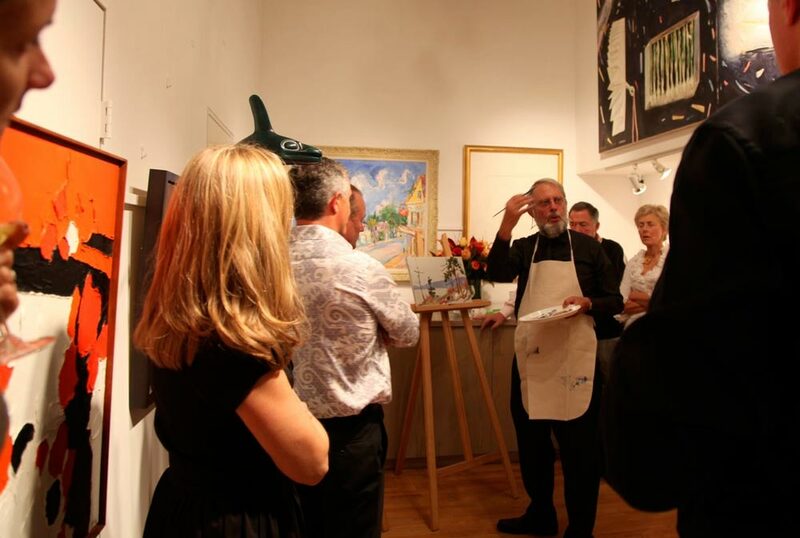 Last Thursday, in aid of Big Brothers, we had an evening in one of my galleries. The place was chock-a-block with expensive art. After a few drinks we had a catered gourmet dinner for 16 with top-notch wines and terrific service. I did a modest demo. 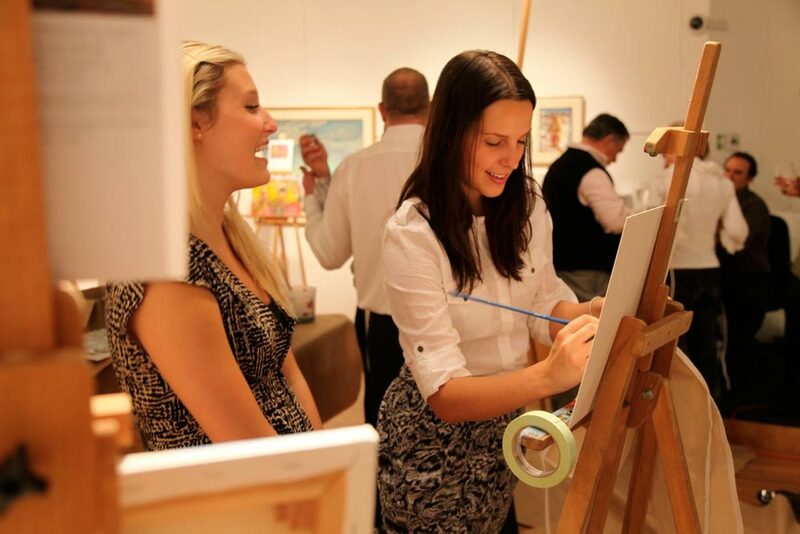 Easels were set up and everyone went to work with paint, brushes and fresh canvases. I tried to help out. Chateau d’Yquem (2004) ensured creative audacity. 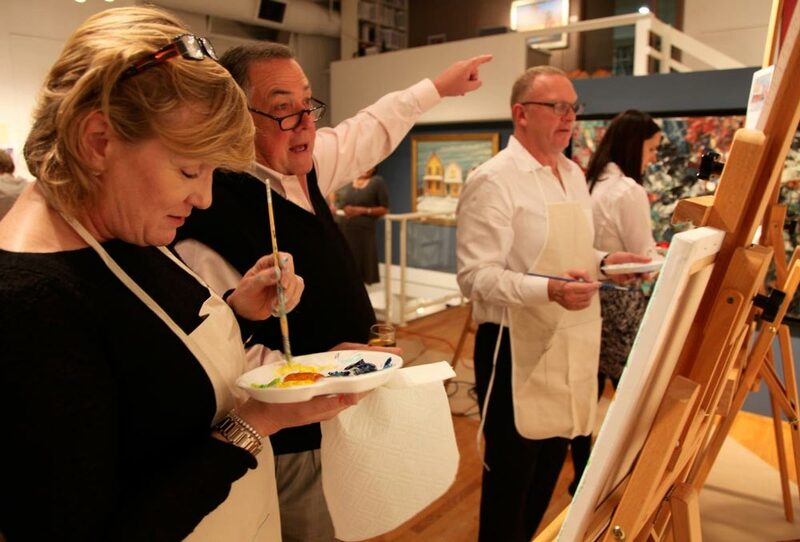 Not surprisingly, stock salesmen and their benefactor-wives can paint. Esoterica: Last week I received a call from a symphony orchestra in another city. They thanked me for the fundraiser gift I had given them the previous year and asked for another for this year. On checking our books we found that we hadn’t given anything to that particular orchestra — ever. A little research showed the painting had been donated by someone who picked it up at a prior fundraiser for a hospital in yet another city. Truly a gift that kept on giving. Who said art is a serious business? Do you give away the paintings you love or the paintings you hate? The paintings you want to get rid of or the paintings you can barely stand to part with? I’ve heard some artists say they often donate work they consider not quite substandard, but perhaps unappealing to their own taste senses or disappointing because in it, they failed to achieve their intended goal. So far, I’ve been giving away what I love. Of course, sometimes the love has grown a bit strained if the painting has hung around too long without a potential buyer. I tell myself that I’m donating to support a good cause, to introduce my work to those who otherwise might never see it, to build a reputation as someone who gives back, but really, goofily, I’m giving to find homes for paintings I love. (RG note) Thanks, Shirley. I don’t think you can go wrong giving your very best. The way I look at it is — my substandard ones are not good enough for anybody. Give your best. Better still, give the charity folks a choice of your best. Invite them to the studio to pick. Once again, you’ve given me a new perspective and new avenue to explore. I have found that I am a poor judge of what buyers — and friends and family like in my work. They will very often choose pieces that I have considered painting over. As far as giving paintings away, I let them choose. Sometimes or actually, often, it takes awhile to make a match with a painting and a client, just like it takes awhile to find one’s true love. I know when my work isn’t “up to snuff”, and that work doesn’t get given away or framed. It gets destroyed. I don’t want to be remembered by work I’m not proud of. When I donate work, it’s work I like. Last Christmas I let my kids choose paintings. I really enjoyed watching them make their decisions. That was a gift for me! While I have donated my works to auctions for charity, lately I have found another way to give. A few weeks ago I was the guest artist for my son’s high school art class. The teacher requested that I also speak to 3 of her other classes. Last week I did a collage mask project with my other son’s 4th grade class. Unfortunately there are no art classes in the elementary schools here, and the teacher was thrilled to have me do an art project with the students. 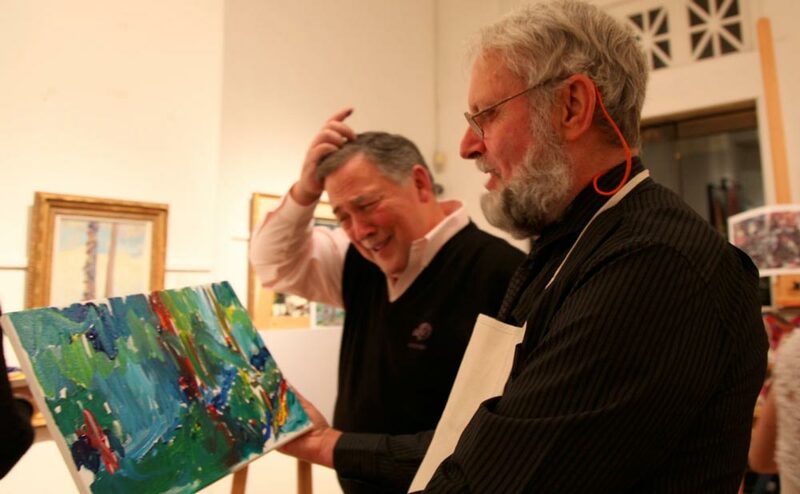 I am not an art teacher, but I think that many artists could give a bit of their time and expertise to a cause that they care about if their local auction options are less than desirable. I know I got a lot more out of it than I put in. I donate to the art gallery at my Alma Mater because they put on great exhibits with our contributions. 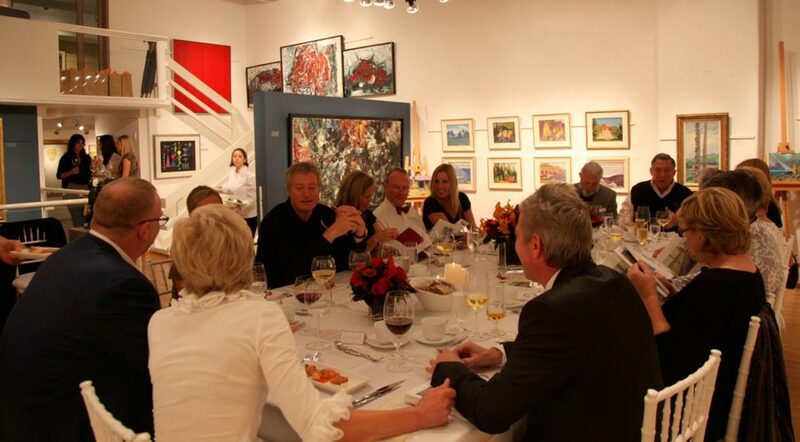 The event is called Art from the Heart at Sonoma State University in northern California. The other two I love to donate to are Art for Life, a fundraiser that helps people with AIDS. They put on a beautiful fund-raiser ever year and really honor the artists with a website including our website and a good little booklet with a photo of our donated works… even the printing is donated. The other one is a food bank…. they have a festival called Calabash and artists donate works of art made from gourds. I donate all the funds raised to the causes and I am happy that someone can enjoy my art and someone else can benefit from it. I love to paint. Spreading it around makes me happy. Amen, Pauline. It makes me happy, too. A friend of mine had a good range of work in an exhibition. The local paper listed his name in the obituaries and every one of his pictures sold. The unfortunate man who had popped his clogs was not my friend but someone with the same name. I wonder if I should report my demise just prior to my next exhibition! I donate my work and never report it… I was told years ago, putting a price on a piece of work is the quickest way to an IRS audit. Some of my pieces bring a sizable amount, usually a result of a bidding war among quests. I’m always flattered and often the donated piece brings requests for more works (paid) as a result of what they bid on. It’s a win-win for me. I generate a donation, and I get FREE advertising. Over the years, I’ve had people approach me to tell me they have a painting of mine that they bid on at a local school fundraiser. Unless the tax laws have changed in the US recently, you are only allowed to deduct the cost of materials for the art (canvas, paint, frame ect…) and not the value of the finished piece. Last Saturday I did a performance painting during a fund raising dinner for one of our colleges. The theme was a Masquerade and I performed painting in four hours a “veduta” of Venice in watercolour which was raffled off. The winner was happy to collect the art work framed and all for what price? I did not want to ask. I did not want to feel disillusioned by the price. All I wanted was to believe that I gave my best to a cause that I trust and that the effort has a deep merit. The MC did not know that I was getting really tired because I was hoping to get a good response from the participants. It was better not to think about what it went for. I’ve been in same boat!! I think there should be a minimum price set ,when it goes for little more than the price of the frame and paper ,you wonder about donating to a charity , does it bring down the value of your work in a gallery? 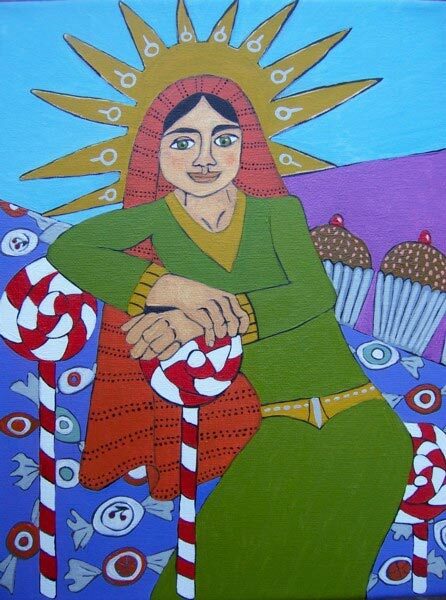 Recently I was asked by the daughter of a good client, to donate a piece for a fundraising. I was intrigued by the manner in which they were conducting the auction. It was being done online through a service. They were also using Facebook and Twitter. My piece was also on show during their live auction event. They made a special mention of the piece on Twitter and I also received a favourable comment on Facebook. 51 people viewed this page. Also, sort of following your rule of thumb, I had set the reserve at 60% of retail. 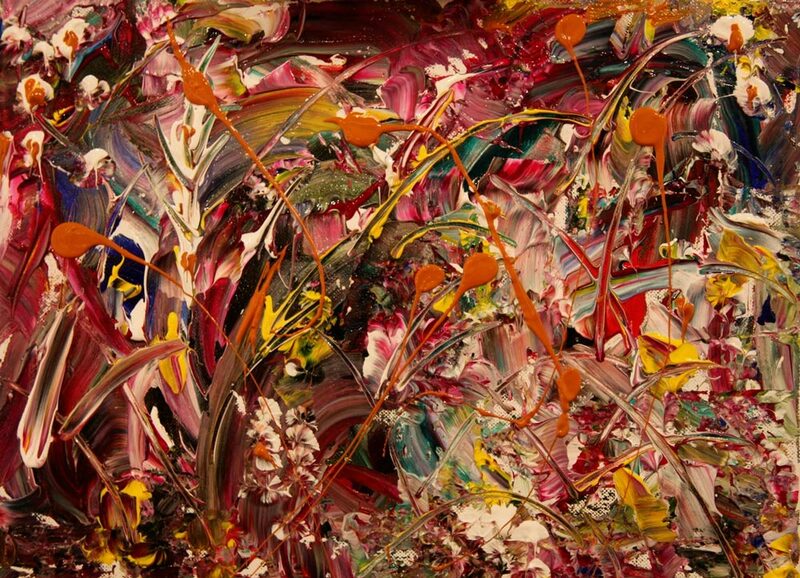 I do not know what the piece ultimately sold for but I will be receiving a tax receipt for it. I know — it is not worth the paper it is printed on. As I get a lot of requests for donations, I have started suggesting that the organizers find patrons that could buy the work from the artist at wholesale and then donate the work to the fundraiser. This way the artist gets paid and should be happy, the patron gets a very useful tax receipt and the event can sell the piece for whatever is offered. I usually vet the events and put an annual retail total on what I am willing to donate. This makes it easier to say no to the ones I am really not interested in. I do consider fundraisers that give me a split and have done a number of them. I appreciate it when the organizers consider the artists. i pick a couple of charities each year that are meaningful to me for donation. After that i tell all the other requests for donation that i cant afford to give away my work, but i am happy to offer it at 50% off if they wish to buy a piece to use for their auction. i usually never hear from them after that. I wonder how many lawyers /accountants /dentists get asked to donate their services for auctions??? 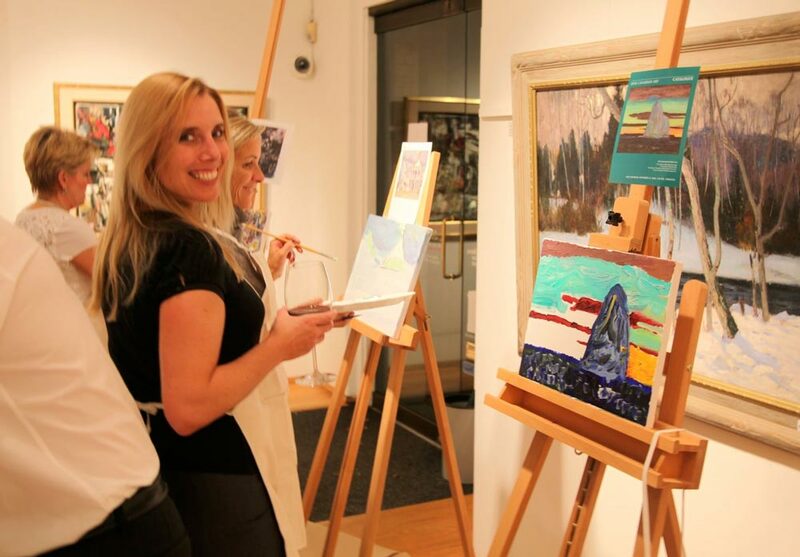 Every year the TimeRaiser Foundation (timeraiser.ca) holds an event, where art (which has been purchased by them outright from local artists) is auctioned off to the highest bidder – for Volunteer hours! Registered charities and groups seeking volunteers are at the event, and people bid hours of volunteer work to a maximum of 150 hours for a piece. 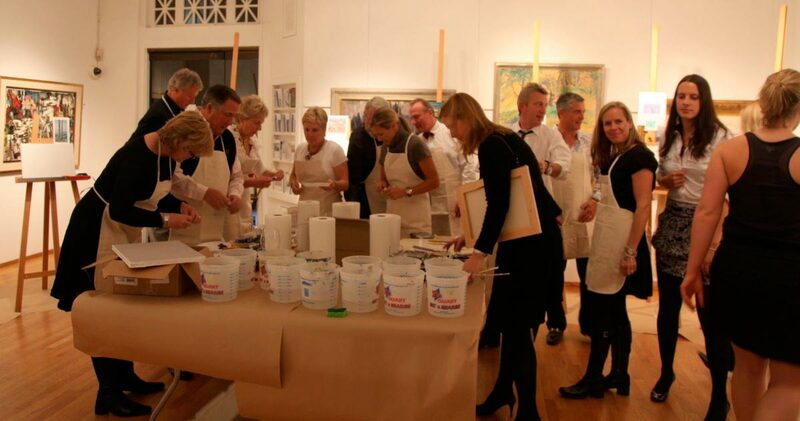 The winning bidders must complete the volunteer hours in the next year before they can get their art. An extremely worthy cause, a juried show, and no awkwardness about the worth of the piece. I have been fortunate to have had pieces chosen for the last 3 years, and am extremely flattered that someone is willing to donate a huge amount of time to have a piece of my art in their homes. (And I got my asking price for the piece beforehand as well). In Canada, the Tax Department has all charities’ returns on its website and I look up their financial statements. Any charity that spends more than 20% of its income on administration is automatically off my donations list. You might try that as a start and then insist that the full price for your work be listed on any auction or sale list. 1. Insist that you receive at least 40- 50% of the posted “full price” no matter how much the charity sells it for. 2. Insist on 50% of whatever is the final sale price for the work. I’ve been around both art and charities for a very long time and I know that charities and other not — for-profits are like street urchin beggars — they want and expect more than you are or should be prepared to give (often more than they are worth or entitled to receive). I wish I had read your fundraising fun letter before participating in Toronto Furniture Bank’s “Chair Affair” last month. It’s amazing how the wrong folks groping around in the dark can mess things up so badly. At the most basic level, every communiqué had errors in spelling and grammar. Most emails were repetitive, confusing or contradicted earlier communications. Attachments were missing or didn’t work. Despite having more than 6 months ahead of the gala event, there was essentially no press — except for one awful little local midday talk show that crammed a bunch of chairs into a decorating segment as novelty rather than explaining their real significance. And there may have been a couple of “what’s on” listings somewhere. They had the wrong title sponsor. (One of my patrons who volunteered a financial contribution to the cost of making the chair expressed her extreme disappointment loud and clear when she learned who the title sponsor was.) They had no idea how to market the thing and as a result drew the wrong crowd. They did not have professional handlers for the chairs despite having the chairs in their possession for six weeks. As a result, mine was damaged. They started the live auction late and had no reserve bids. By the time my piece hit the stage, the few attending well healed buyers had spent their money and gone home (it was a Thursday night). 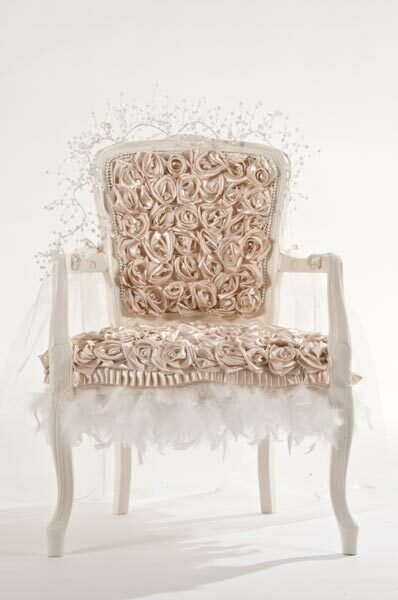 Incidentally, the chairs selected for live auction were the ones deemed to have higher sales potential. Yet, they placed reserve bids on pieces in the silent auction while not on those in the live auction. Not surprisingly, many pieces in the silent auction sold for more than those in the live auction. It was a full week after the gala before we received any follow up communication of any kind. And as I write this email, they still haven’t updated the event website. My chair, which I personally spent a whopping lump of cash on for materials and then laboured over for more than 250 hours sold for less than a quarter of its minimum value (and less than what I spent on it myself). What should have been a show stopper, selling to a collector or a commercial client for display, ended up being an after thought. Don’t get me wrong, the lovely woman who purchased it was thrilled — she really loved the piece and I am confident she pushed her available funds to get it. She deserves to enjoy it any way she chooses and I hope it brings her much pleasure. I am also glad I created something with such commitment and integrity for a very worthy cause. As my girl friend said to me on the way home… if it helps to get a kid a mattress, then you done good. that is really unfortunate you experienced such a dissilusioning situation Sandra. Your chair is stunning. Gorgeous piece!! Too nice to sit in …. i saw the chairs on cityline and actually they did talk about the cause and how good it was etc and it was fun to hear about them and see some of them even tho i am in bc. we artists often don’t get back what we put into a work but we don’t only do it for the monetary value we benefit from creating it and then when someone loves it, that is the bonus. hope your events go better from now on. I always enjoy your letter — both as a former copywriter who appreciates the difficulty of coming up with a stream of fresh material — and as a current fine arts student. This morning’s edition was particularly fun. I laughed out loud twice, at the auction comment about your state of health and at the re-gifted painting in the symphony fund raiser. It’s great to start the morning with a double chuckle. In my painting class at the University of Manitoba, we were asked to nominate art links our fellow students might find useful. I sent in yours. I took a multi-year detour en route to the fine arts program (well, multi-decade) and for me, your writing strikes an interesting balance between inspiration and pragmatism. I hope the others will subscribe because those elements are both key to a successful practice. This letter comes at a crucial time. I am asked at least three to ten times a month to give to a charity. I must say, first and foremost, that I would not be where I am today if I had not given back to my community. I have done extensive work with AIDS, Children’s Hospital, Breast Cancer and a number of other key charities. Designing cards for children’s hospitals have spring boarded to major jobs designing street light banners and even a 30 foot mural. 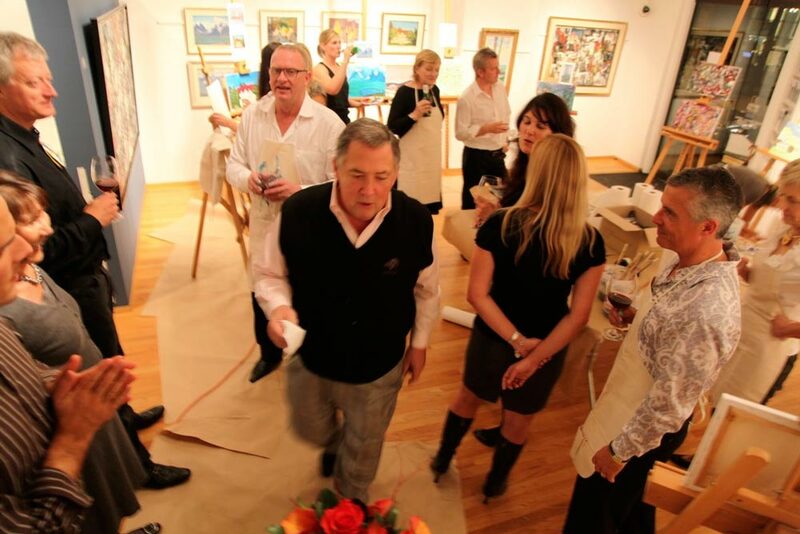 When I see some of the other artists I am showing with, even Robert Genn, I have been thrilled to be part of it. Donating work has become more about relationships than with supporting the community. There was one gem of a group that did visual and performing art programs for children’s that had a big place in my heart. For 18 consecutive and solid years I donated to their annual fall gala fundraiser. I was very pleased and proud to be part of this exclusive and prestigious event. On more than a few occasions I painted a specific piece. Sometimes they would give me a chair, a cabinet or an umbrella to follow that seasons theme. All the while working diligently and happy to participate. The executive director was a lovely woman who, every year, wrote me a hand written thank you card. I was jazzed and I felt like I had arrived as a recognized and established artist. Last year, the executive director stepped down after 20 years of service. She was replace with a woman from television. Within a week, I received a letter from the new director with three sentences thanking me for my previous donations. It went on to say my services were no longer required…Three sentences! I have never been so hurt, dissed or felt more dismissed. You would think this new director, with her sage experience, would have pick up the phone and at least make this call to me in person. I sent her letter off to the board of Directors I knew and they called me in shock. They didn’t know this was happening and they were all very upset. The next day, this new director called me and asked if I would meet her for coffee. I told her the ship had sailed and at this point I didn’t feel like being “Handled” by her. Her lack of skills in damage control was now rearing it’s ugly head. 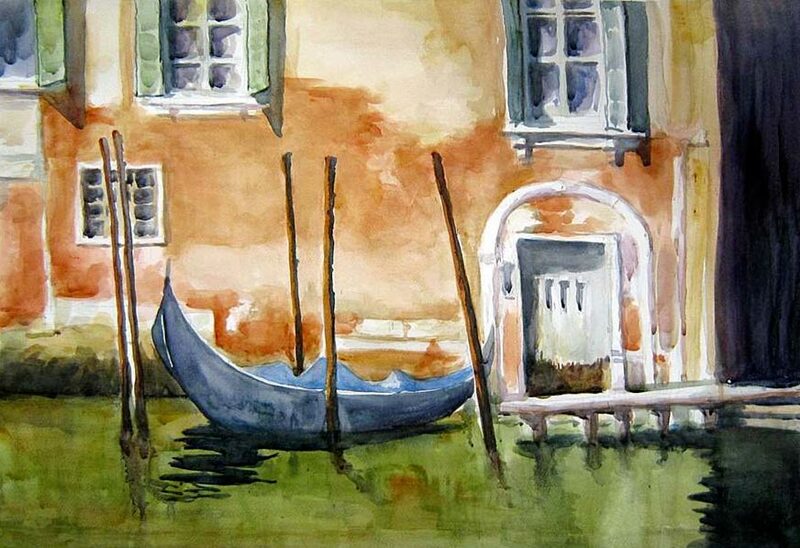 I donate a painting each year to the on air auction/fundraiser for our local public broadcasting organization and I regularly contribute pictures to our watercolor society to raise funds for an art scholarship at the university. These are 100% donations with nothing back to me on the sales. I’m happy to be able to help. I wish artists in the US would contact their congressmen and senators and ask for an amendment to the tax laws to allow a deduction for the lesser of the fair market value or the amount realized from the sale of contributed art. Under current law we are allowed to claim a deduction only for the materials used in the work. I’m glad I’m in a position to help non-profits, but I fully admit I hold back from donating higher end work out of a selfish motive that might be overcome if I thought I could at least claim a deduction on my tax return. A change to the tax laws and regulations might help bump up the amounts realized by non-profits from these worthy annual events. I wanna know how, when I get a twice weekly letter on a certain date, there are already so many comments on it? How do they get advance copies? I’m with Carole Wayne King. Why are we let in so late? Sometimes I have a comment on the subject, but there are so many replies I’m sure what I have to say is already more than covered, so I just forget it and leave. In fact the two above our comments were sent yesterday. 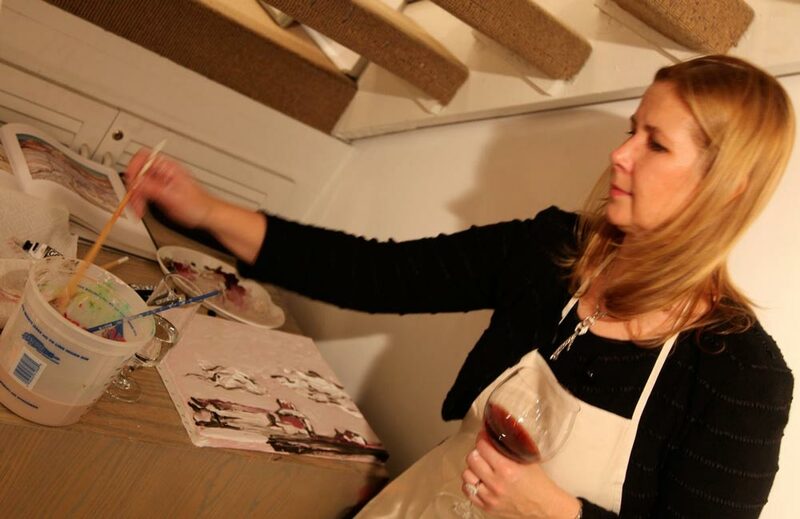 Wine + painting…I will HAVE to try that! I have donated work before and was embarrassed at the little it raised. Other times I was truly gratified at the amount. The only difference was one bidder wanted to donate a token amount whereas the other loved the piece and was willing to pay enough to bring it home; it wasn’t the work itself, it was the participants. Regardless of tax laws or what our individual work can demand, it is still a charity. If you believe in it, do what you can. If not, pass. Learning to say “no” graciously is something we all must learn if we are to control our time. I also donate several painting a year to various charity events, but the last couple of years I have been donating more of my time. I paint Memory Boxes for our Prenatal Care Program for our local hospital. These are given to mothers who have lost their infant during pregnancy and have a vessel to take home the Teddy Bear the hospital gives them and other baby items to cherish. Last year I rounded up 12 of my students and put together a calender in support of the YWCA and our Woman’s Shelter. This project was very satisfying and involved a bigger participation from other artists. The latest donation of my time was to paint ceiling tiles for another hospital in our area. These 18 tiles are used for the patients who are flat on their backs and could tell you how many flecks are in each tile. These can be moved around letting many patients enjoy some colour. We are putting together a booklet showing each tile with a story for each in hopes that other artists would take up the cause. Love the “hill of partly-chewed Jujubes” metaphor. Here we go again, hurt feelings! John Ferrie and Dwight Williams are the newest members Robert’s Wailing Wall for artists with hurt feelings. In spite of Robert’s valiant attempts to give wonderful advice, with humor, somehow some people feel obliged to to tell us how someone hurt them. Dr. Phil would find fertile hunting fields on this forum. …oh, and for business’ sake, taking Tamara’s lead, I’ll spread the rumor that I have one foot on a banana peel! I am wondering if those are original Lawren Harris paintings on the walls of the gallery, or prints? I just finished small W/C portraits of the foster dogs and cats in the local program-40 of them. They are on display for First Friday event. They are not For Sale-just for recognition in case someone wants to adopt one. I want to help Foster Kids and Foster Animals and my local shelters. Well, if you actually read my letter, without being so “selective” I think you might see that I have had some amazing experience with charity work. And while Robert seemed to be expressing the same, I went on to express how I felt about one experience with a charity where I didn’t feel I was treated with very much respect. Now, you can think I am, how did you put it…’whailing’. But I was only saying how something went off the rails and not by my own doing. Did you want us all to link arms and sing Kumbaya? I don’t think that is what this forum is about. We are here to help one and other to show our path and experience and hopefully gain from each others stories. Now, as far as going on Dr. Phil, I am very much in touch with my feelings and feel I express them appropriately. 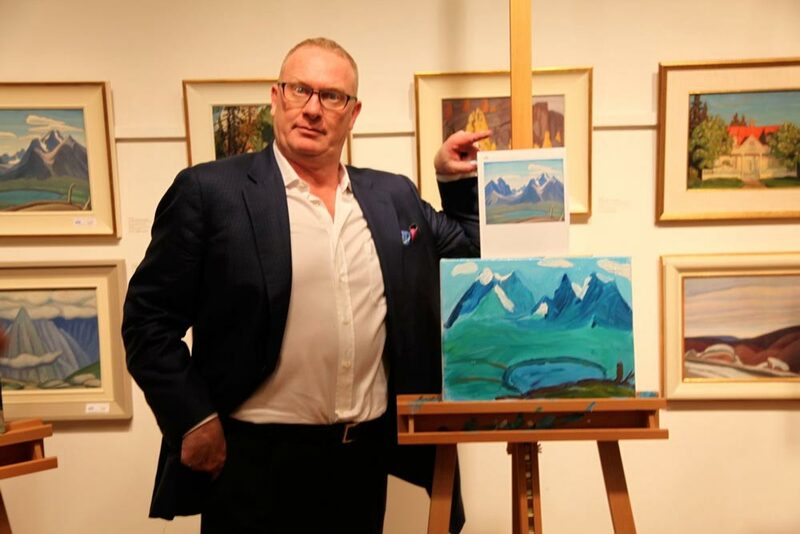 I have had mixed responses to selling my artwork at charity auctions. I was very pleased when three of my pieces sold for about what they are worth at a church auction. But it is still hard to part with pieces at auction for me, because of the pride issue, I want them to sell at least to close what they are worth, or else I feel like everyone would be better served if I sold the painting regularly and donated the proceeds. My feelings aren’t hurt, Thierry. I just wondered why the delay for some. We’d like to get in early with a comment about the subject. Using this space to call others names is really what we could do without. 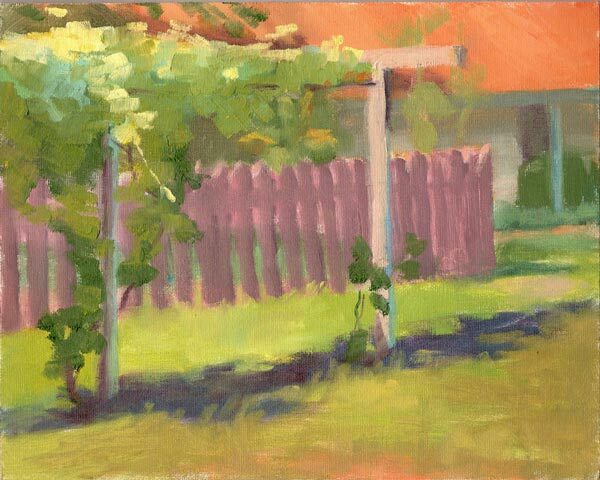 Do you paint at all or are just an armchair artist? 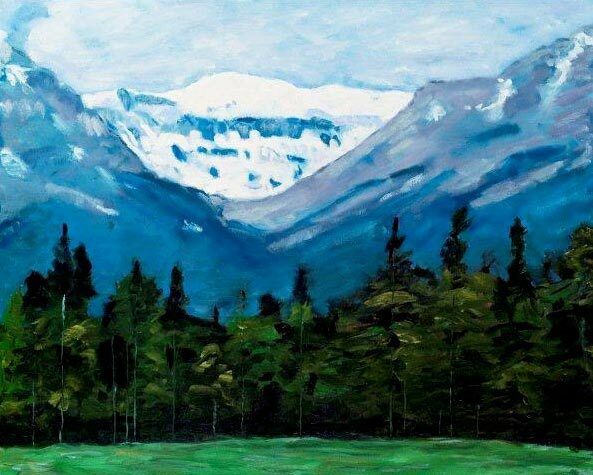 I’ve had the pleasure of making a living doing art for nearly fifty years. John Ferrie, I read your whole letter; the sentence that struck me as qualifying you for membership of the Wailing Wall was “I have never been so hurt, dissed or felt more dismissed.” Need I say more? Dwight, which name did I call you? so, you think this is some play ground where you are the king of the dime store punks? Dream on fella!…Because it is my experience that Bullys are just immature and insecure…And at least I can express my feelings. Think whatever you want man, you don’t pay my rent! There appears to be one chronic complainer on this forum these days. Apparently this person might be watching too much television? Good luck, and I truly hope something cheers you up soon. :–) Hang in there! Rather than seeing work go for a low price in a room where attendees have previously paid full price, I offer a half-day workshop in printmaking in my studio. My husband, a portrait and figure painter, offers a conté portrait of the buyer. That way we both maintain the price level of our work. His website is Drawn2Life.com. I’m at VictoriaCowan.ca We both enjoy your comments and often share them with our students. Thank you for this timely wisdom and perspective on art auctions. It has long been a pet peeve of mine that charities don’t always attract generous buyers, but instead people who are looking for art at a discount price. I stopped donating to charity auctions that don’t set a reserve price. This is really good information that I will share with some organizations that call me yearly for donations; it could be a catalyst for more fun and money. Had to reply to this one. God, it was funny! And, I laughed heartily at the pics from the fundraiser event . Those of us who have given similar demos and workshops can truly relate! Once more, you have injected a heck of a lot of fun in my regular reading of your Twice Weekly letters. I saw the pictures! Thanks for making us see life as it is — FUNNY ! Charity auctions have lost some of their lustre. They are now full of bottom feeders who are out for a bargain and not so interested in helping the charity. Creative bidding is needed. As in the big art auctions in the big houses, “plants” and vested interests need to be there to see that prices are pushed. The artist can’t do this himself. Singer Sargent offered a blank canvas when asked for charity contributions. If it was sold for his minimum price, he would do a portrait. Robert, please count me among your loyal followers. I appreciate the consistent high quality of your Twice-Weekly Letters. I get something out of the full range of topics aimed at artists, from the detailed technical observations to the high level psychology of creative motivation. Thank you for writing them. That said, in economic times where many of us are dealing with frightening financial uncertainty, I think you would spare us such details as pouring goodness knows how much Chateau d’Yquem, a wine that only the those with money to burn could ever dream to taste. I’m glad you have money to burn. No need to subject an audience, interested in creating, with details of your extravagant indulgences. Or do you feel the need to humble your struggling audience on occasion? Loved your quip about Tamara mentioning you were not feeling well. The psychology is too true. Hahah, you were re-gifted!!! Great story!!! I like the point that Thierry makes. Who cares about those personal miseries? Take John Ferrie’s misplaced pride in his ability to ‘express his feelings’. We don’t care about your self-indulged feelings, John. You can’t even spell: Bullys . . . I agree, Dr. Phil would have fun with you. I give money to different organizations: hospitals, needy people, cancer research, etc. We are in the 21st century and as an artist, we have no value in the global sense because there is no help from the government. It means, it is no easy life to support oneself. My goodness, what hostility and for someone you do not even know. And that I mis-spelled one word (Heaven forbid), I should have your rath of anger land on me? That is not very nice. And as you, speaking for everyone, don’t care about how I feel, rest assured the only thing I feel for you is indifference. And trust me, I would rather hear from Dr. Phil than some HOT HEAD who doesn’t even have the nerve to write his full name. John Ferrie…that’s right, my real name…you getting all this Dirk, or am I writing too fast? John, oh John, you don’t sound indifferent. I thought you would be receptive to someone expressing his feelings so well? Oh, with ‘rath’ you probably mean ‘wrath’? That’s extreme anger you’re talking about. Dirk just expressed his feelings, something you profess to be proud about: no anger there, I thought. John, the Wailing Wall is the place for you. Ugly repetitive aggression with no purpose. I’m surprised Robert lets it stand, but that’s his choice. Baiting and taunting can be found on most forums in cyberspace. They’re small and pathetic motivations for posting, with apparently similar minds behind them. They add nothing to a forum in which most people seem to post sincerely, wittily, and artistically, without demeaning others gratuitously. Yawn. To all the many who post thoughts, original insights, questions, and feelings with honesty, thank you! You’re the ones who keep me and thousands of others reading. There is a less than noble practice happening now (or maybe it’s always happening) of dealers going to charity auctions, bidding very low on many works, getting some, and then taking them to high-end consignment shops for re-sale. This makes me very sad. I think this cheats the charity (they often don’t know this is what is happening.) Anybody else know of this trend? 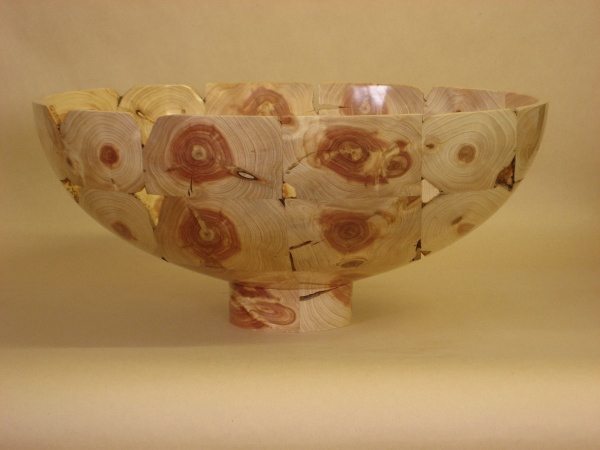 I recently found one of my pieces in an antiques shop (what…I’m not THAT old!? :) priced three times higher than what the charity got, not fair and a tad immoral, I think. Be wary and give without attachment to the results. To Carol Wayne King – I get Bob’s letters while you are probably getting your beauty sleep or enjoying some other form of nocturnal activity. When I switch the PC on at about 8 a.m. – now European Winter Time, which is one hour ahead of Greenwich, from which all clocks derive their time (the controling atomic clock is actually in France, however) it’s about midnight on the US west coast and about 3 a.m. in NY (and Canada- at least in the east). Mystery solved???? our organization’s new idea for a fundraiser. We are a relatively small club called Olympic Driftwood Sculptors – e-mail olympicdriftwoodsculptors.org This year, we decided to do a group sculpture to raffle off for fundraising. We picked an appropriate piece of wood, and every two-three weeks it passes from one member to another for a year. Then at the end, another member bases it, and we will sell tickets. There will be about 12-15 different artists working on this project, which should produce an interesting art object. The cooperative efforts is turning into a great joy for all! Check out our website and see who and what we are! The fundraiser looks like fun! 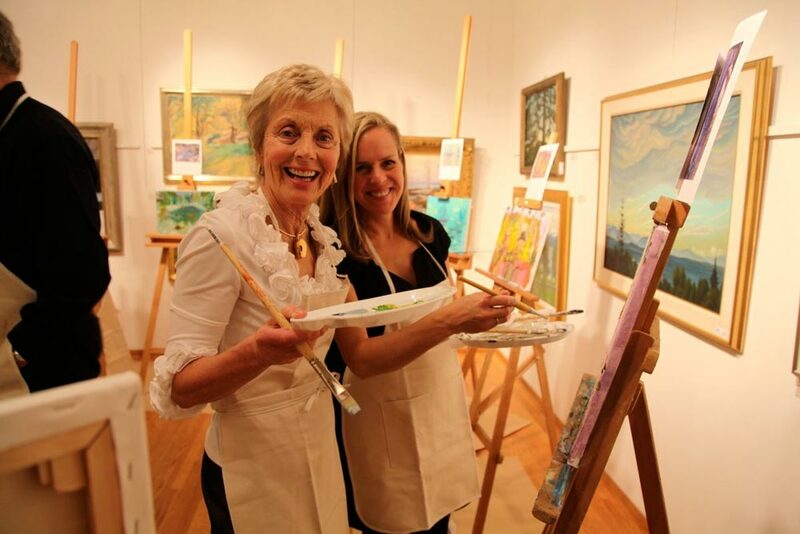 I recently became a Board Member for an arts organization that provides art classes for children and youth who otherwise may not have the chance to experience the fun of creating. Of course…the organization needs funding. Any chance of getting a rough estimate of the cost/return ratio for the event?